Before we say anything else…thank you! The idea of a politics and sports show was something we had been kicking around for well over a year before we finally sat down to record our first episode in October of 2017. It was the height of the NFL “kneeling” controversy, and a pretty perfect intersection of politics and sports for us to launch our show. We thought there would be an audience for “water cooler” talk that got beyond the cable news shout factory, and so far it looks like we may have been right. We’re now averaging more than 100 downloads per day. New fans are going back and downloading old episodes to see what they missed. Best of all, we get to sit around and BS for 45 minutes a couple of times a week, and people seem to enjoy listening. To celebrate, we cooked up a little contest. It’s here! The spectacular 50th Episode you’ve all been waiting for! 50th Episode extravaganza now on iTunes! Be the first to listen so you can spoil it for your friends. That’s it. We’ll take all the Retweets/Shares, throw them in a bowl and select 12 random winners. If you promote us across platforms, you double your chances of winning. After the contest, send us a pic of you rocking your shirt and we’ll feature it on social media. Website: All of our episodes are available here, and we’re more download friendly and subscribe friendly than ever. Also…if you came to our website in the early days, it was a little ad heavy. Kind of annoying if we’re being honest. It wasn’t intentional, we just didn’t know what we were doing when we set it up. So we promise…nothing you’ll have to dismiss, and probably fewer ads than most of the sites you visit every day. Ways to Listen: In addition to iTunes and Google Play, you can catch us on Stitcher, TuneIn, and iHeartRadio, in addition to various “podcatcher” apps like Playapod. Please SUBSCRIBE to your favorite service…it helps us out a lot in terms of measuring our audience. Also, all of our episodes are now in MP3 format instead of M4a so you can listen on more devices. Content: We’re going to blog more. We promise. Seriously. Show Format: If you listened in the early days, our shows were pretty long and free flowing. Since about February, we’ve been including much sharper segment transitions, and we keep the shows to about 40 minutes most of the time. Tech Stuff: A while back, we played with some mobile-only formatting for Facebook and Twitter that we ultimately did away with, so you’ll have a consistent experience no matter where you click from. 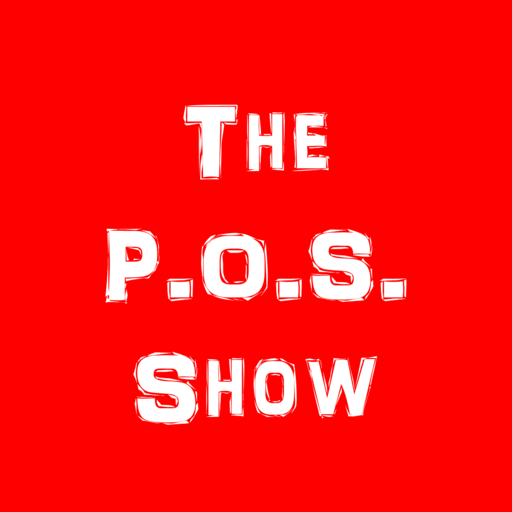 If there is anything you’d like to see on the website that isn’t included, shoot us a note at theposshow[at]gmail[dot]com. Y’all keep listening, and we’ll keep bringing you a POS twice a week.